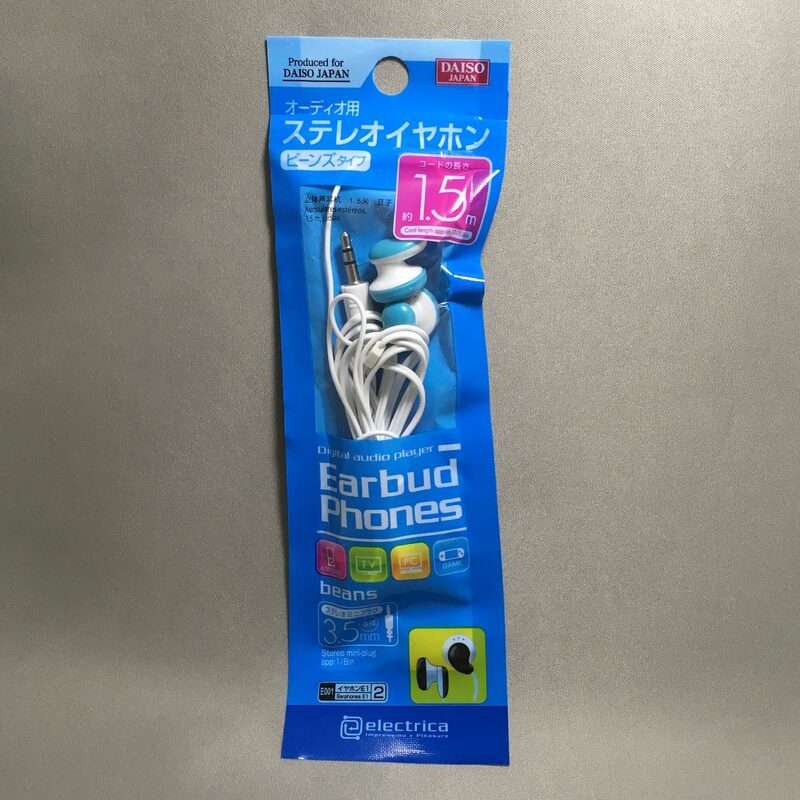 Check out these cool and colourful earbud headphones / earphones from Daiso Japan. 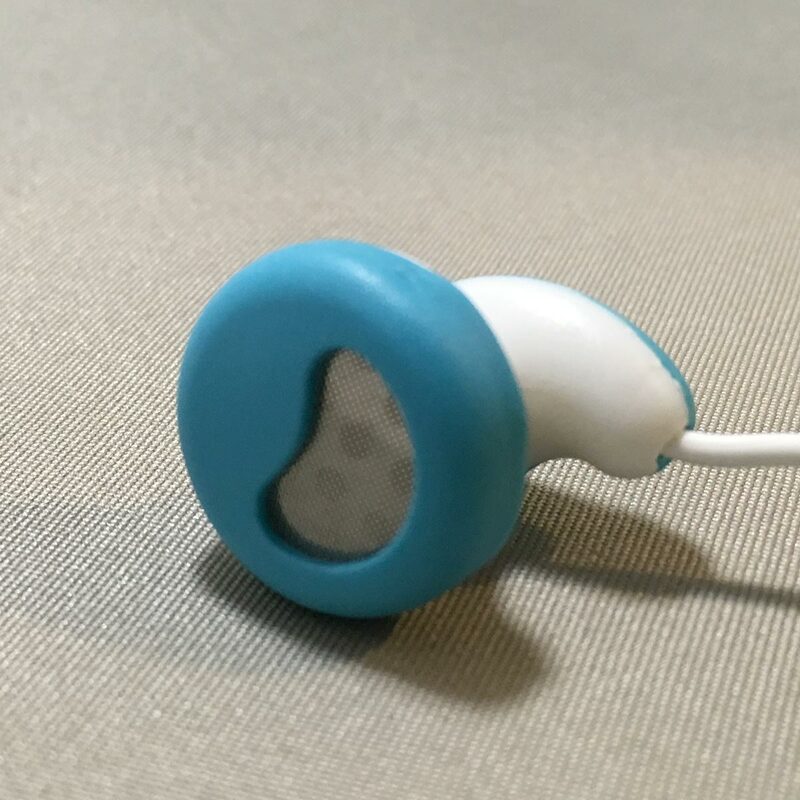 For 100 yen, you get this pair of cute stereo earphones with a 1.5m cord. 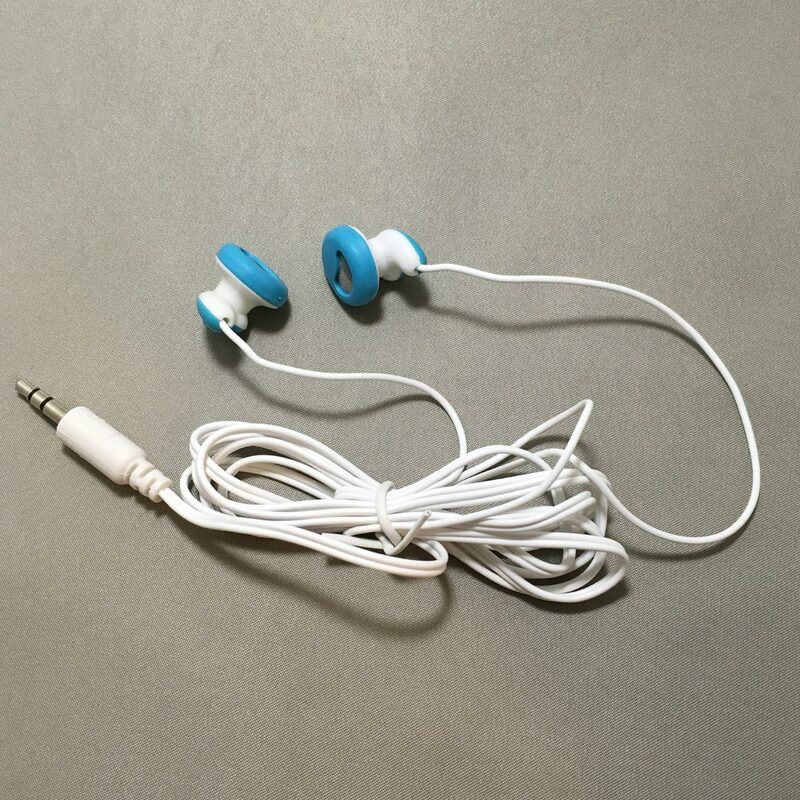 The cord leading to the bean-shaped earbuds are asymmetric in length, with that longer cord worn from behind your neck. – Do not use the earphones when driving. 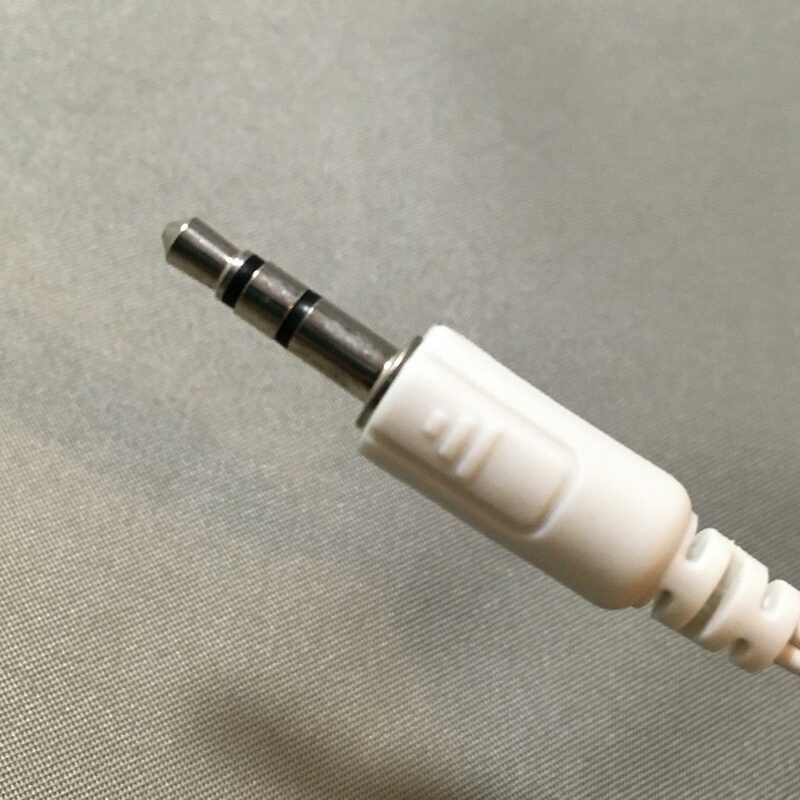 – If the stereo earphone is plugged into a monaural audio product, audio will be heard from one side only. – For your safety and that of others when using the earphones while walking, adjust the volume to ensure surrounding sounds can be heard. – To avoid hearing damage, do not use the earphones at a high volume. 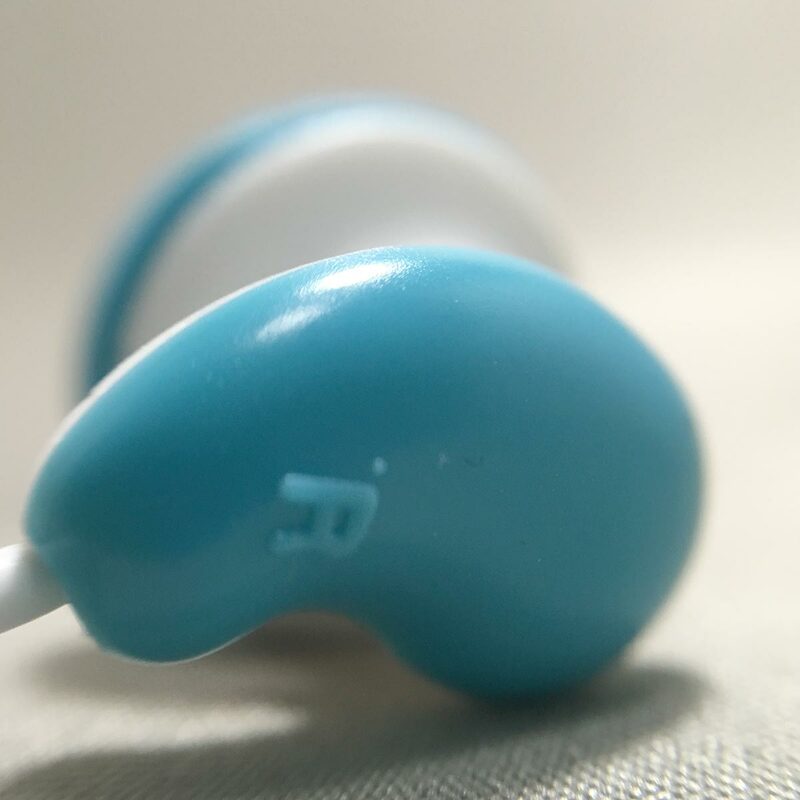 – Prolonged earphone usage may cause damage to your hearing. – Caution when using in the public, the earphones may leak sound. – Earphone cord that may pose risk of choking. – Do not disassemble or modify the earphones. – Keep away from direct sunlight, heat sources and moisture. 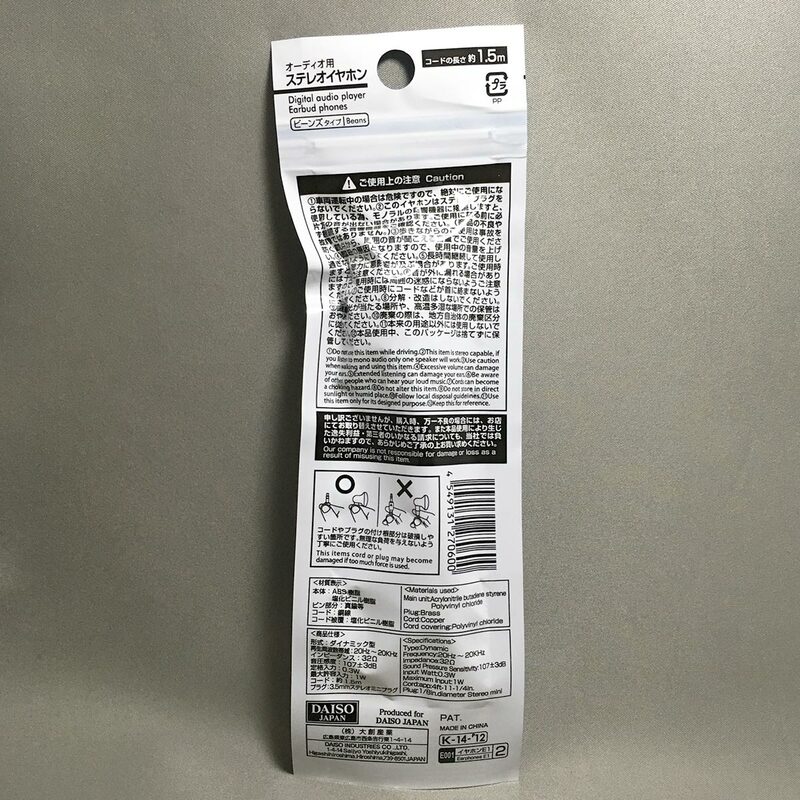 – Retain the packaging for reference. 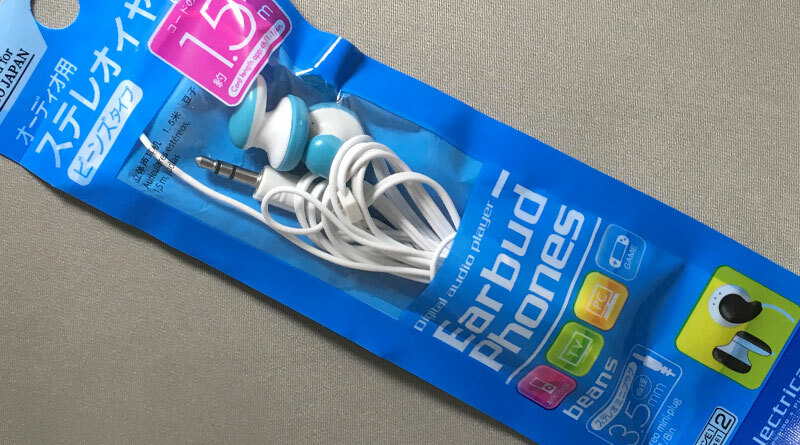 I have tried many different earphones, and many I tend to lose, so I thought I’d give a 100 yen earphone a try. 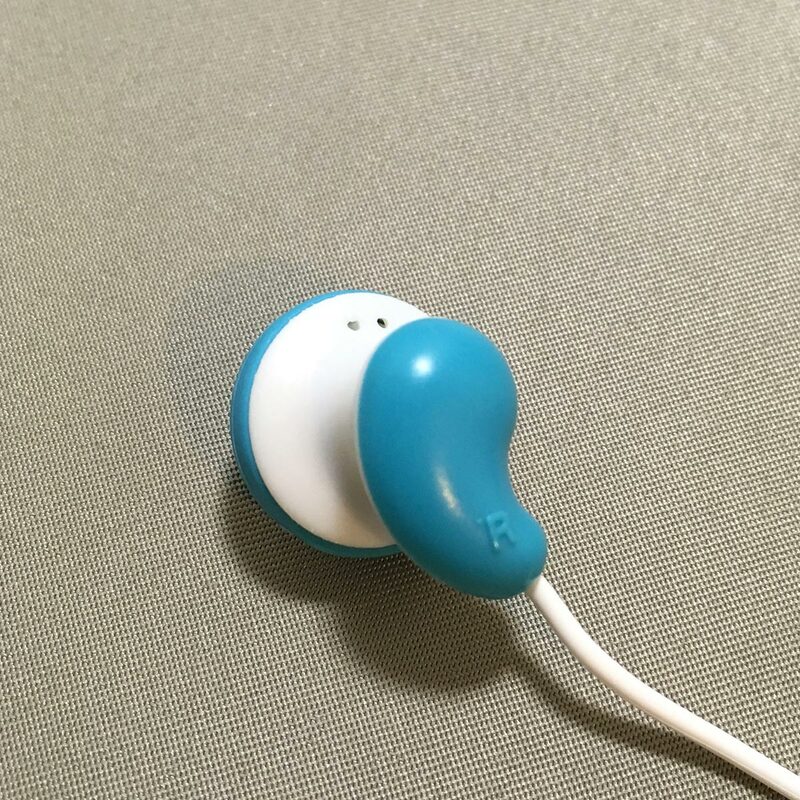 I really like the cute colourful design of the earbuds. They do look stylish. 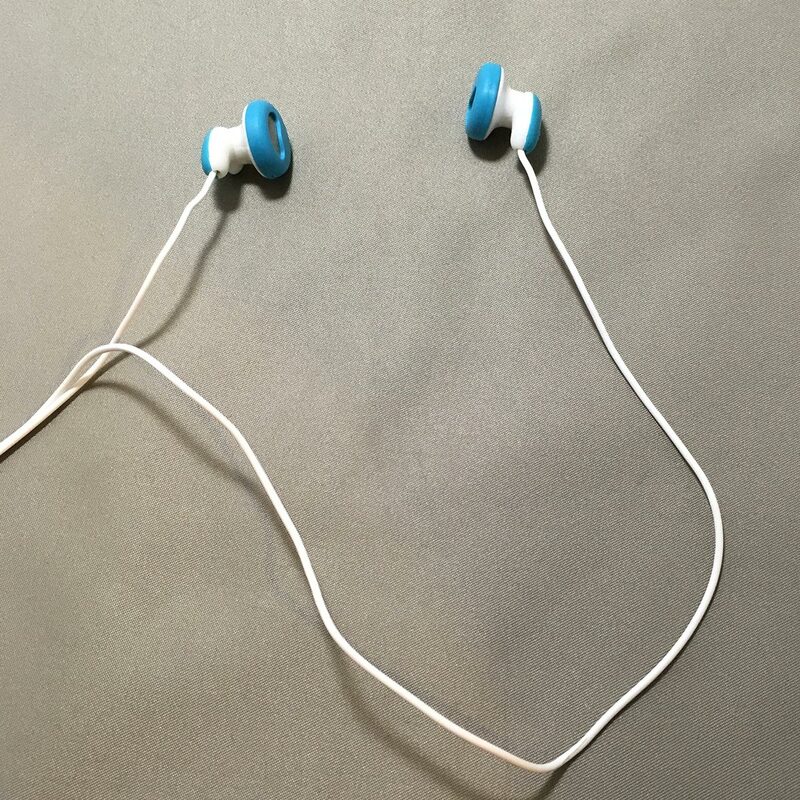 The cords on the cable are very thin and flimsy, with the cord leading to the earbuds paired together, requiring them to be pulled apart stopping at the earphone joint. This really did remind me of the free earphones you get on planes, just that this looks, feels and the audio quality is better. I know some people hate the asymmetric cords, I’m kinda old school and don’t really mind them. 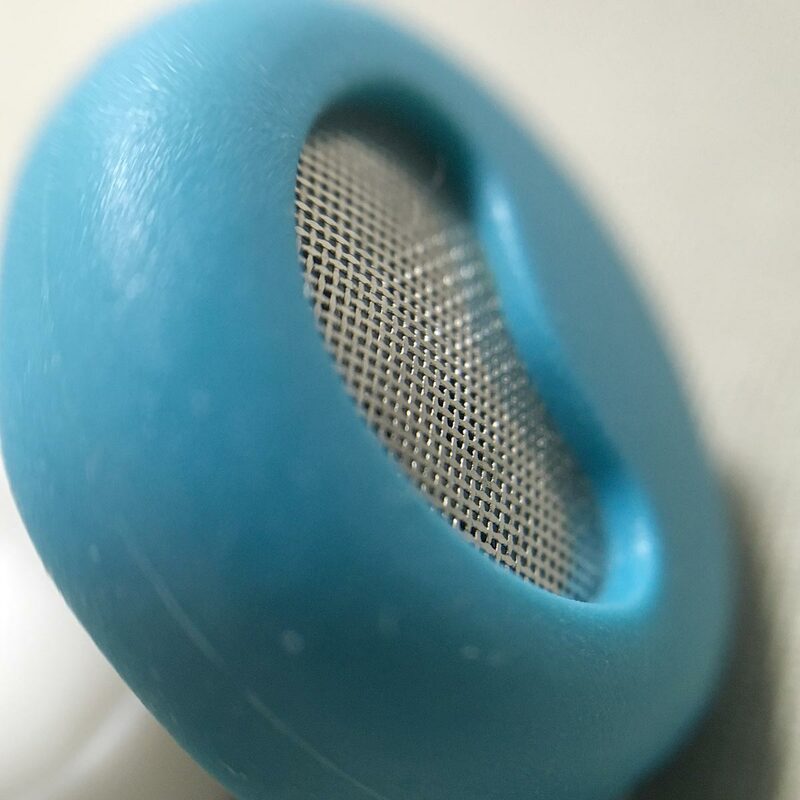 When checking on the Benchmarking test site, the Frequency Response test for the earphones gave a range of 70Hz to 17kHz. I have read that good headphones can reproduce frequencies of 20Hz ~ 20kHz, which is the stated frequency range on the package, but my testing shows it falls a little short. However for 100 yen, I think I can keep using these earphones for a while.